A lightweight and easy-to-use spray mop that can be used for either wet or dry cleaning. 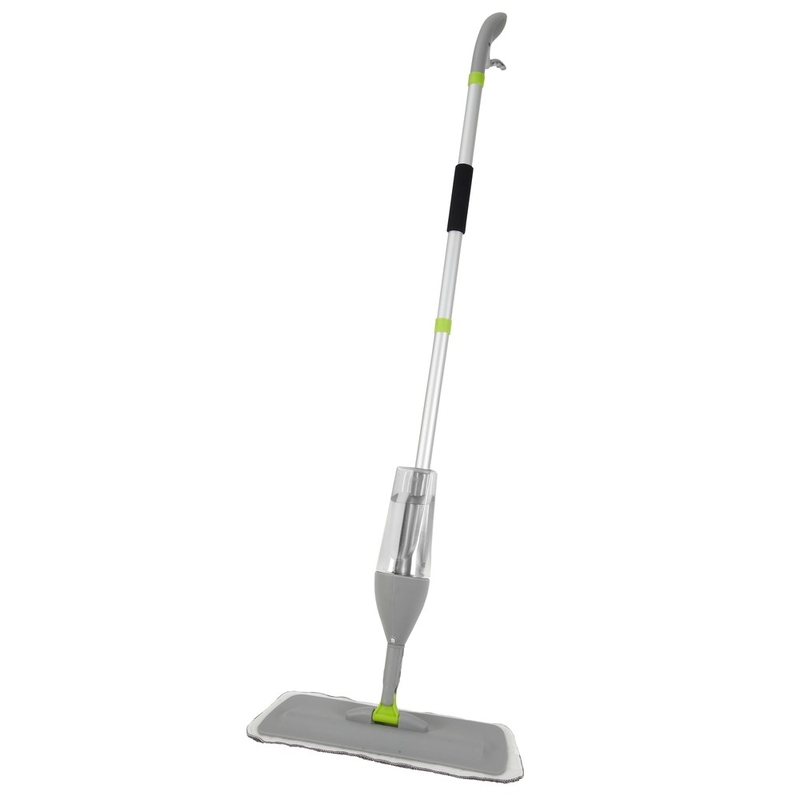 The built-in detachable water tank and spray trigger means no more mop buckets, making cleaning floors quick and easy. It comes with two removable, machine washable microfibre pads, the soft fibres mean it’s suitable for most flooring and the fibres absorb the water to leave a clean floor. Use dry to sweep away any dust or clean up any spillages, then add tap water or your choice of floor cleaner to the detachable tank (holds up to 500ml approx.) spray the surface and wipe clean. Handle height: 125cm approx. Head: 43x14cm approx.